Paper Masters can compose a custom written research paper on Heteroglossia that follows your guidelines. The idea behind heteroglossia comes from the Greek words hetero, meaning “different”, and glossa, meaning “tongue” or “language.” Bakhtin said that any language will contain numerous voices and this becomes the defining characteristic of the novel. The diversity of style and language within a novel provides a structured artistic statement where originality arises through the combination of expression. Bakhtin thought that heteroglossia was the blending of different world views through language. The writer, the audience and the characters in a novel create a new reality. In this Bakhtin was arguing against the purpose of language as a means of communication, since he believed that language could not relate directly to the external world. Speech, according to Bakhtin, is always filtered through the perspective of the listener. One learns from and incorporates ideas from others in creating dialogue. 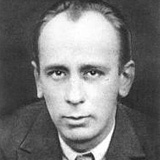 Bakhtin held that dialogue contains numerous references to other ideas. Human beings then selectively assimilate ideas from other perspectives, ones that resonate with their own world view. Ferdinand de Saussure's Nature of the Linguistic Sign research papers discuss the language and signs in the human race. Intercultural Communication research papers examine the aspects of interpersonal communications in business and in dealing with the global economy. Order a research paper on Intercultural Communication from Paper Masters. Communication Perspective essays try to convey to readers what it is like to view the world from a communication lens.